For decades, VANS has held your feet on to your pedals. Now, VANS will help you hold on to your bars! 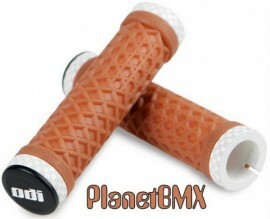 Introducing the new VANS lock-on grip, by ODI! 2-ply super soft outer rubber compound with the classic VANS shoe sole pattern.